Welcome to eZee Insider, your monthly gateway into all things eZee. 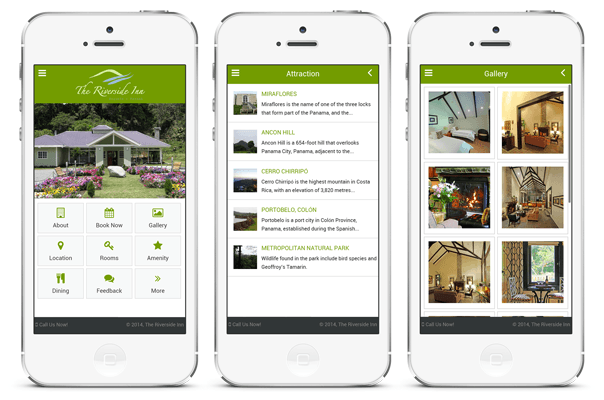 In this edition, eZee launches mobile app builder for hotels. eZee Centrix tutorial videos are now available on our YouTube Channel and how clients are continually benefiting from adapting solutions from eZee. eZee has launched Appytect, the beta version of its customizable app builder for hotels called Appytect. Hoteliers now will get their hands on an easy-to-use tool which will allow them to create and manage their own dedicated App. Appytect offers exceptional creative control; hoteliers can fully customize layouts, number of features, colors, and fonts. The user friendly interface does not require any kind of experience or coding skills and can be used by anyone to create an App according to their own requirements. In addition, it allows users to take advantage of mobile features such as location based services (GPS), direct booking facility with mobile booking engine and also communicate with the feedback system. The HTML 5 based hybrid App once created can be published on Google Play Store, Apple App Store, Windows App Store and Firefox Marketplace giving hoteliers maximum reach. In addition it gives a uniform across all the mobile devices as it supports Android OS, Apple iOS, and Windows Mobile devices. Few of the many advantages Appytect provides for hoteliers. No Coding or technical skills required, the drag and drop allow anyone to build an App easily. Provide hoteliers with a mobile website without hotel having to invest in a dedicated mobile website for their hotel. Supports all major mobile operating systems in the market making sure your hotel has the maximum reach among consumers. Direct booking and direct feedback functionality allows for higher bookings and instant feedback. Appytect gives users all the freedom and tools they want in an App builder through which they can decide which features to be added and further edit those changes according to changing requirements. One of the most popular hostels in the city of Córdoba in Argentina has recently adapted another solution from eZee in form of eZee iFeedback, the online feedback system. Turning Point Hostel has been a client of eZee since 2010, initially adapting eZee FrontDesk as their PMS and eventually taking their hostel online with eZee Reservation and eZee Centrix. eZee iFeedback is a web-based system which will give the staff unprecedented control on how and when they engage their clients. With seamless integration between all the eZee products, it provides a solid foundation and building a software ecosystem. Turning Point Hostel is popular among backpackers and provides their guests with unique experience at center of the city. eZee iFeedback will also allow them to post their reviews on their Facebook page where the staff and guests are very active. In addition, the system will allow them to create multiple surveys which will run simultaneously and connect and engage with their clients. The advanced analytics will allow them to learn more about their services and improve those services and help building long-term relationships with guests. eZee is proud of their business association with Turning Point Hostel and looks forward to build it stronger in the near future with more innovative products. Grand Alora Hotel selects eZee as their complete IT solutions provider; the 4-star hotel is located in Alora Setar, Malaysia. The Grand Alora Hotel will adapt eZee FrontDesk as their property management software for day-to-day operations, eZee BurrP! as their POS for restaurants and eZee Reservation will take care of direct bookings from their website. The four star hotels also offers superior services for guests and a broad range of amenities including restaurants, business center, 24-hour room service, executive floor and free wireless internet facility across the hotel. eZee support team from Malaysia office provided onsite implementation and training. eZee FrontDesk, eZee BurrP! with eZee Reservation provides a complete software ecosystem for the hotel and providing staff with all the tool they require to efficiently run their operations. eZee looks forward in building a long-term relationship with Grand Alora Hotel and provide 24X7 support. Karma Royal Group selects eZee BurrP! restaurant POS from eZee for two of their 5 star resorts in Bali, Karma Jimbaran and Karma Kandare Resorts. Each of the resort offers multiple exquisite dining options with Di Mare Restaurant, Temple Lounge and Karma Beach Bali at Karma Kandare Resorts all of which will implement eZee BurrP!. At Karma Jimbaran, Karma Lounge is the heart of the resort offering guests with continental, Asian and local delicacies. The restaurant will further enhance their services with eZee iMenu, the digital restaurant menu from eZee. This will provide unique experience to their guests and staff and further improve their dining services. eZee Support team from Malaysia provided with onsite implementation and training. The team provided guidance in using Inventory Stock Management Module, Payroll Module and integrated eZee Restaurant POS with Finger Print Scanner. Karma Lounge in Karma Jimbaran resort eZee BurrP! was implemented and interfaced with eZee iMenu. Karma Royal Group, one of the most prominent groups in Asia with 21 high end luxury holiday resorts in 10 countries in the region. eZee will provide 24X7 support to the restaurants in both the resorts. 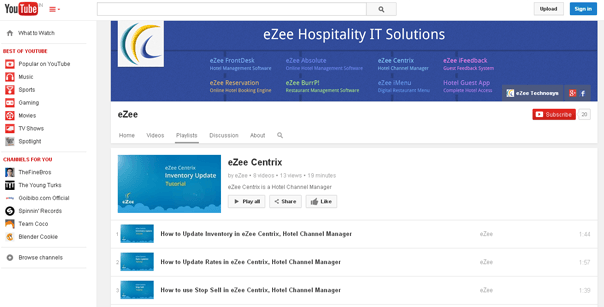 eZee Youtube Channel has been recently updated with eZee Centrix Tutorial Videos, the new set of videos will allow users to learn how to manage day to day operations in eZee Centrix – Channel Manager. eZee Centrix, channel manager allows hotels to distribute and manage their inventory and rates across various travel websites and GDS channels. Tutorial Videos highlight the easy to use nature of eZee Centrix and how hotels can efficiently manage their online distribution. Subscribe today to eZee's YouTube Channel and share videos with your friends and colleagues. You can always provide us with your valuable feedback or opinions by simple leaving comments in the comment section or contacting us on any of our social media channels.